Robert Downey Jr. Wants the Hulk In Captain America: Civil War. Aquaman and The Flash may make cameos in Batman v Superman. Plus, the first clip from Terminator Genisys, Grant Bowler talks Defiance, more Fear The Walking Dead and Shadowhunters casting, and X-Files set pictures. So many Spoilers! - Ezra Miller’s The Flash is a blur that stops a robbery. - Jason Momoa’s Aquaman is held prisoner in a containment chamber where we see his hand slap against the glass. How did you raise the bar for the action? Will Nolan get to do more gun-slinging? The show has gotten a little simpler. It’s gotten back to a very strong “us versus them,” back to a very strong external threat and back to everybody having to choose sides, but in a very immediate, visceral way. None of our problems are domestic anymore. They all have far-ranging, immediate and life-threatening consequences. For Nolan, that inevitably means a lot of gunfire and a lot of fighting. In one week, I had five fights. I got to four and there was three feet of snow and my jacket weighs 30 pounds. Can you imagine having five fist fights in the snow, 50 times each and falling down in three feet of snow and getting up? By the end of the week I was exhausted. What else can you tell us about this new alien race, the Omec? The Omec are far more powerful than any other Votan race. They predate all the other Votan races. They were also once the masters of every Votan race. When they get to Earth, they are extremely unpopular with everybody — except the humans who don’t have any bloody idea who they are. The Season 5 premiere opens on the eve of senior year: Scott and his pack deal with the arrival of a new enemy and the return of an old friend. Stiles is suspicious of a new classmate; and Lydia helps a student with night terrors. Scott tracks a new shapeshifter that’s threatening Stilinski; and Malia receives information about her mother. Hannah: Dutch is a level 5, a top killjoy, so she can kill for warrants. She’s known John for 7 years. She has a complicated past which is catching up with her. She’s very loyal and has earned respect. She’s the leader. Aaron: John is a level 3 killjoy, so he’s not as skilled and dangerous as Dutch. He’s more of a pacifist, more willing to talk things through. He’s completely dedicated to Dutch. He is very loyal, and you see this with his brother. They’ve been estranged for 8 or 9 years. His role is to hold the team together. Luke: D’Avin is the older brother. He doesn’t join as a killjoy but becomes fascinated by the lifestyle. He’s former military and a bit of a rogue. He’s very taken with Dutch. He’s not at all like me – he’s super cocky. Additional reporting by Diana Biller and Charlie Jane Anders. 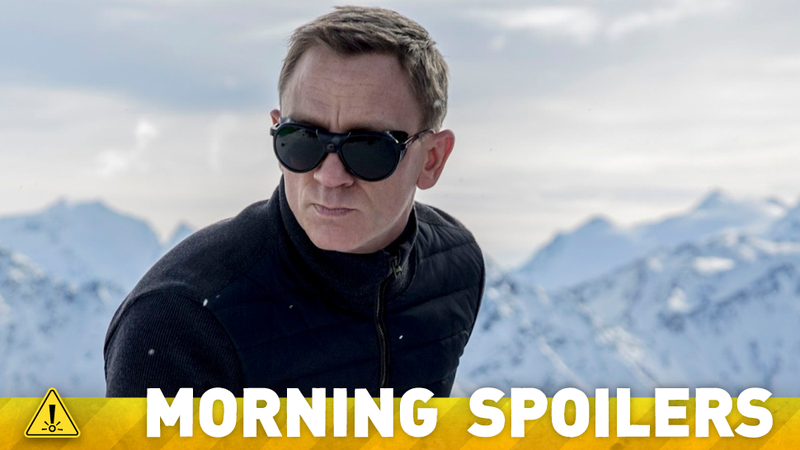 Top image: James Bond: SPECTRE.